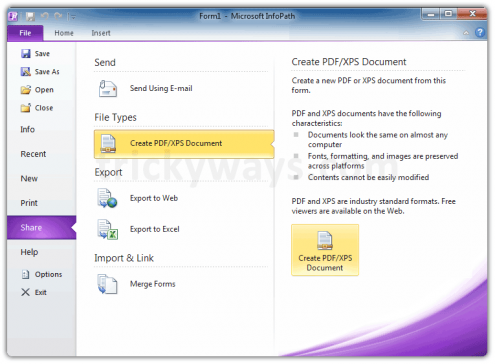 Microsoft InfoPath is use to design forms and you can covert these forms into PDF file. 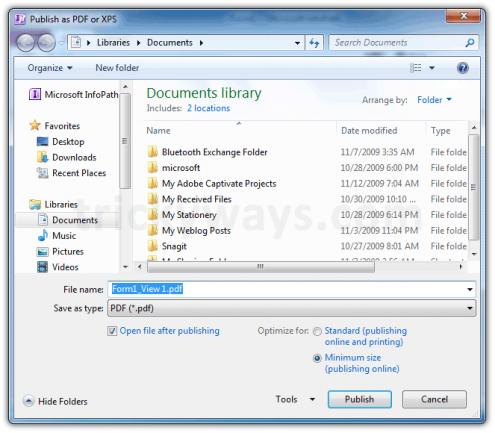 You don’t need to install any third party utility to convert InfoPath file into PDF. 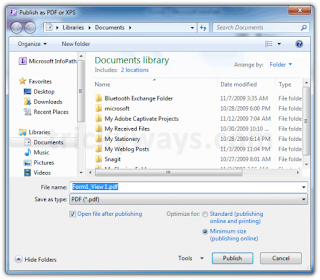 Microsoft InfoPtha 2010 also gives an option to save InfoPath form to PDF. follow the given steps below to convert InfoPath file to PDF. Type name for your InfoPath form PDF file in the File name Field, You change the optimization option from Minimum size to Standard for printing purposes. When you are done with options click the Publish button to Save InfoPath form as PDF file.